As the saying goes, money gets you one more round. Actually, the original saying was “money makes the world go ‘round”, but I’m far more comfortable quoting Moe Szyslak than I am Liza Minnelli. Besides, they both amount to the same thing: money is really, really important. If you live in the United States, your life is all but controlled by dollars and the amount of which you can gather. However, the vast majority of American citizens know very little about the history of their currency. In an attempt to familiarize you with that little green note which dictates almost every aspect of your life, we have gathered these 12 interesting facts about the US dollars. The Women On 20s campaign was started with the intention to get a female face on the twenty-dollar bill, which has featured former president/nutter Andrew Jackson since 1928. While we totally support the cause, we feel it’s necessary to point out that a woman has appeared on the bill in the past. Twenty-dollar bills printed in 1865 bore the image of none other than Pocahontas. For those unfamiliar with Native American history and/or Disney movies, Pocahontas was a Native American female who saved the life of Englishman John Smith by placing her head upon his just as her father was about to decapitate him. She went on to marry a tobacco planter by the name of John Rolfe before converting to Christianity. Pocahontas’ time on the note was short-lived and, in typical colonist fashion, her spot was eventually taken by a red-blooded ‘Merican male. If the idea of your life being controlled by a piece of paper makes you uncomfortable, you can relax! Your life is actually controlled by a concoction of linen, ink, and cocaine. Yes, “paper money”, as it is commonly referred to, contains no actual paper and is instead composed primarily of the aforementioned ingredients. 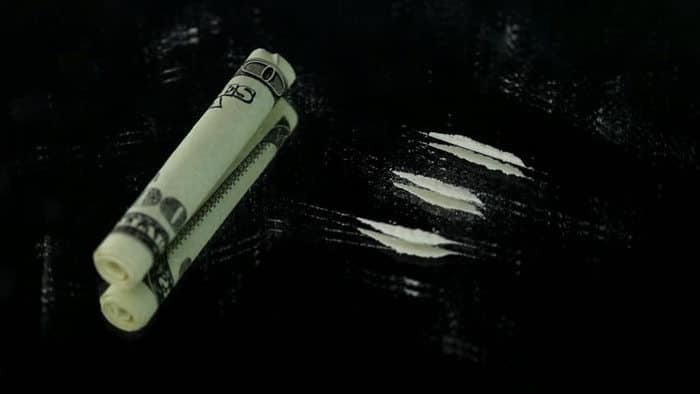 Before you get too excited, however, it should be noted (pun only intended if you liked it) that cocaine is not used in the manufacturing of dollar bills. Despite this, over 90% of paper money in circulation contains traces of the drug due to dealers counting their profits with unwashed hands and users utilizing rolled up bills in consumption. 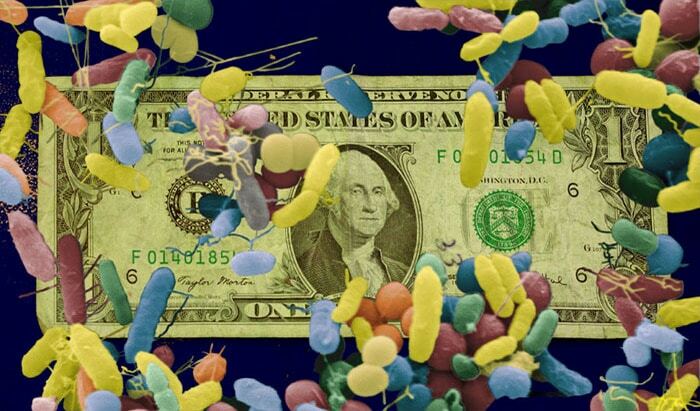 In keeping with the theme of contaminated money, a study carried out in 2002 found that US dollar bills carry harmful pathogens, such as staphylococcus. A standard dollar bill is as unclean as a toilet seat and can carry a live flu virus for over two weeks. While this isn’t the most comforting news in the world, it should make you feel a little bit better if you’re short on cash. Over the past couple of years, we seem to have come to terms with the idea that our society is governed by an elite group of billionaires who pull the strings of our elected representatives to get what is best for themselves. 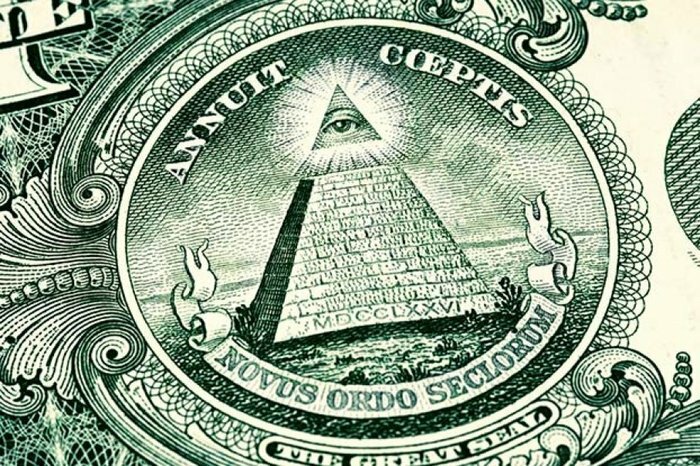 It is even believed that Big Brother’s constant supervision is represented on the one-dollar bill through the all-seeing eye which rests atop the pyramid. While the eye does represent an omnipotent entity, it is not, as conspiracy theorists suggest, the Illuminati. In reality, the eye is that of God, who is always looking out for America because everybody knows He loves Dunkin’ Donuts and girls in stars and stripes bikinis.